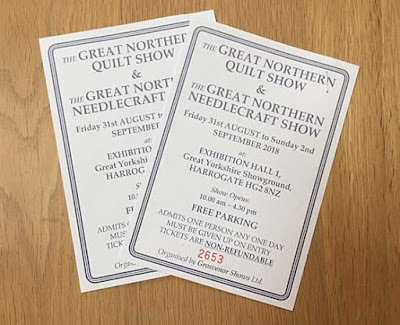 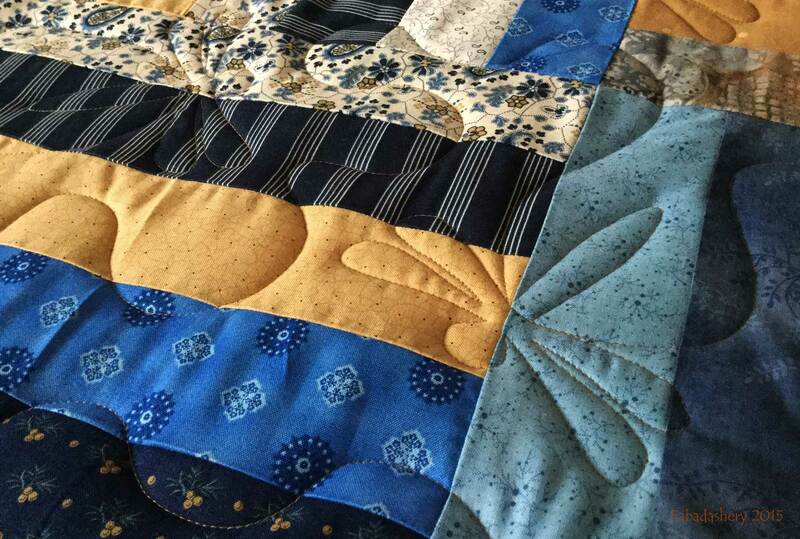 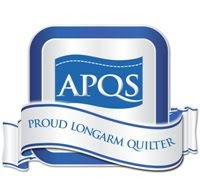 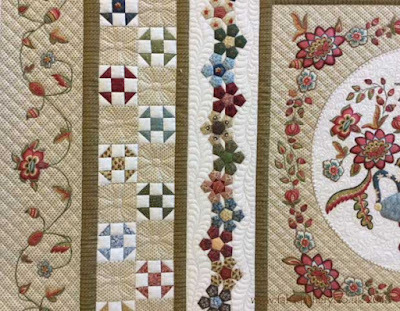 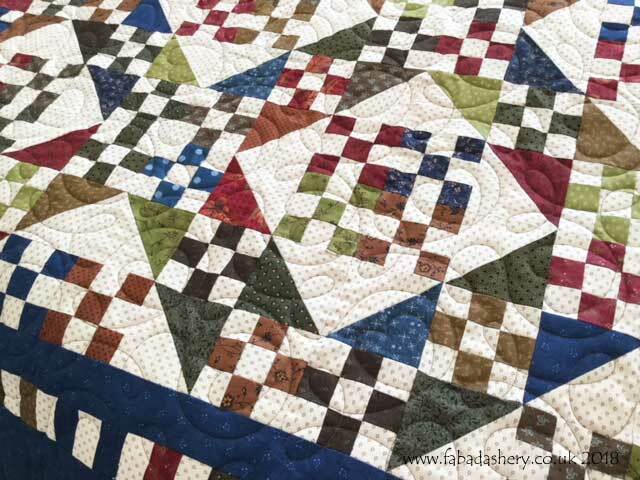 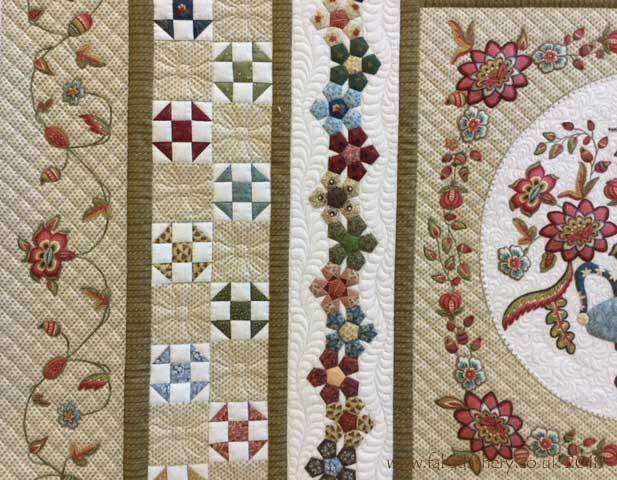 Fabadashery Longarm Quilting has a pair of tickets to giveaway to the Great Northern Quilt Show which is on Friday 31st August - Sunday 1st September 2018. 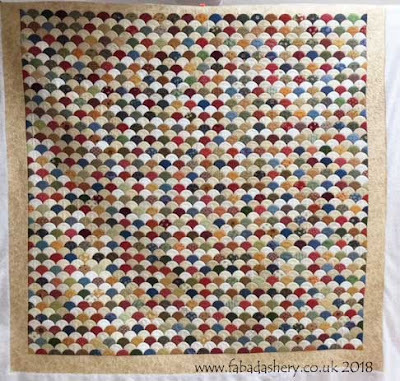 It is nearly over a year since I quilted this beautiful quilt for Alyson and this week it can be seen on display at the 2018 Festival of Quilts,UK in the Two Person Category, No IO44. 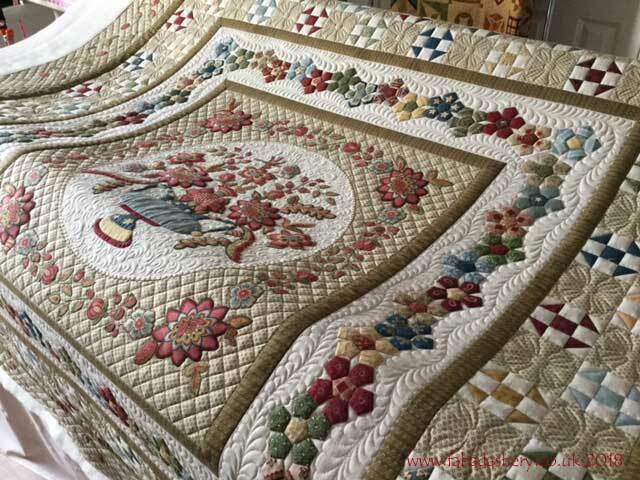 Do be sure to take a look at it if you are visiting. 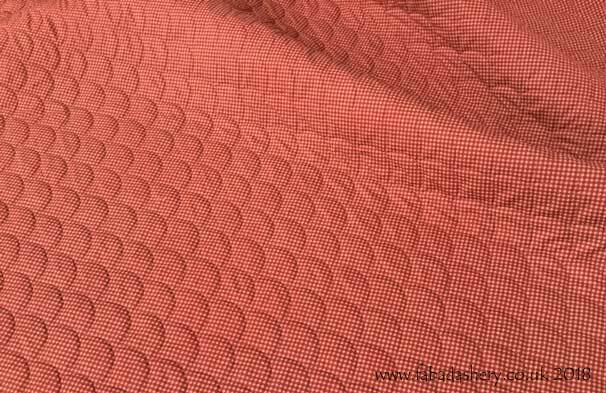 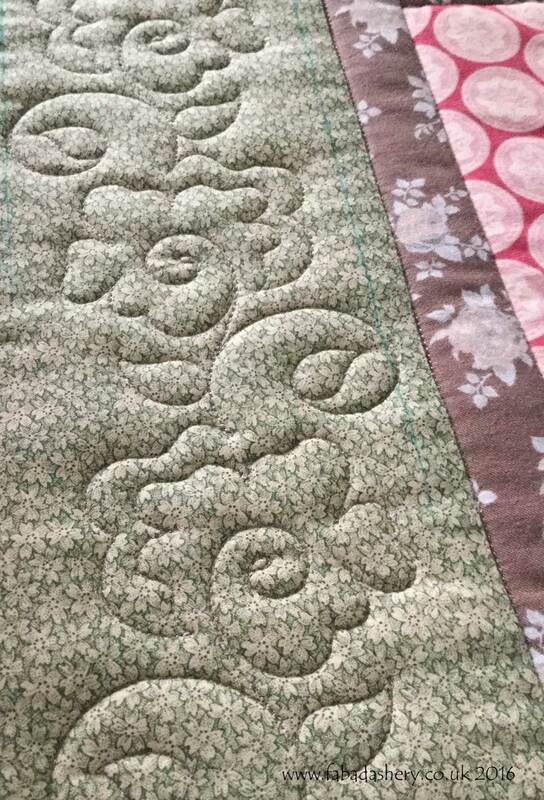 I took a lovely picture of the lovely texture created from the free- motion quilting around the applique whilst it was still on my long arm frame. 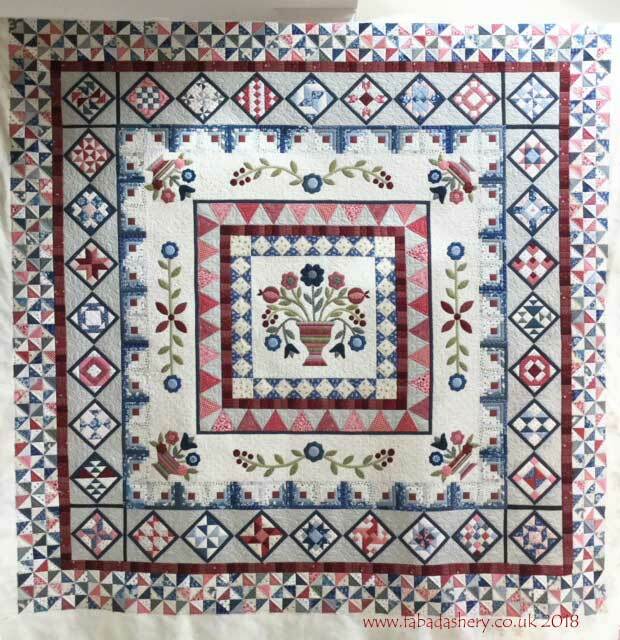 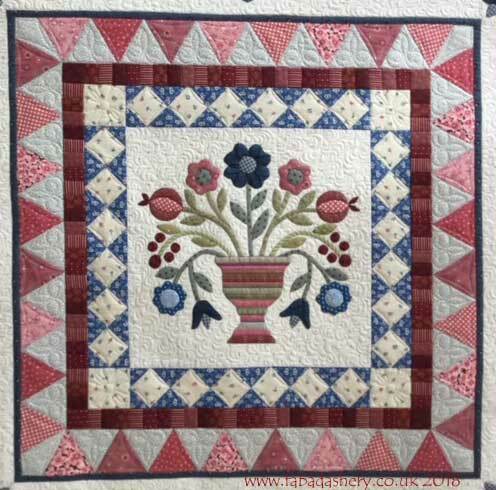 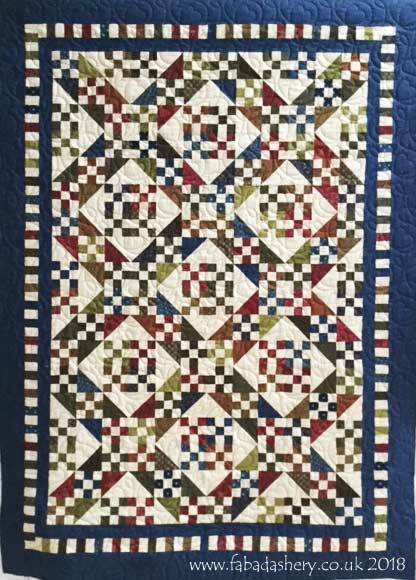 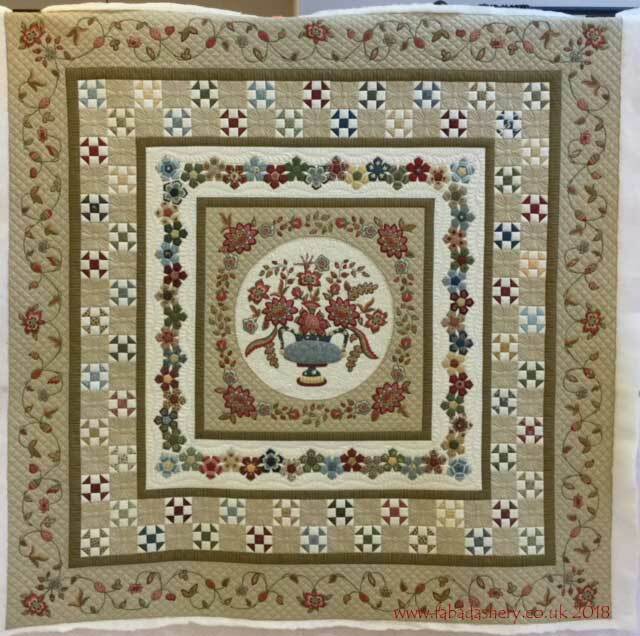 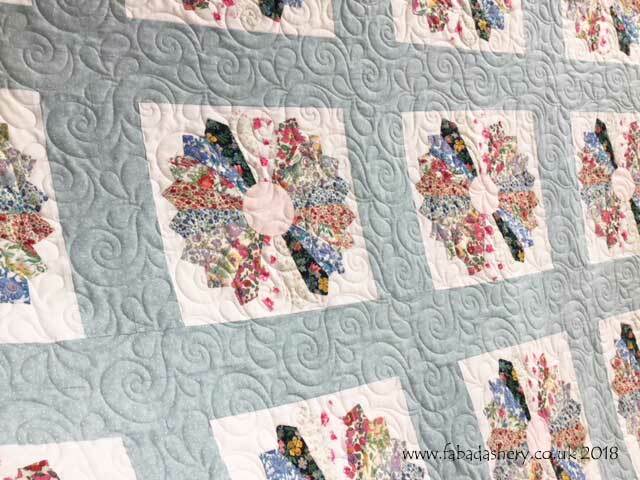 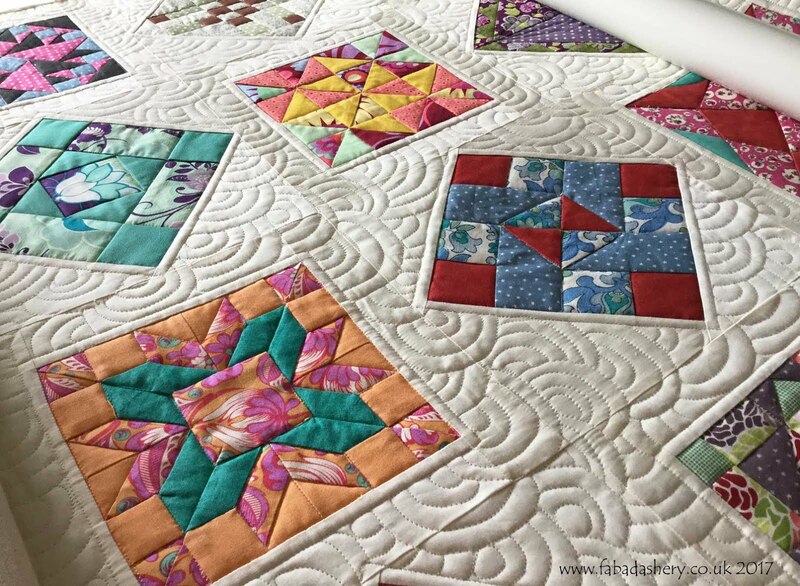 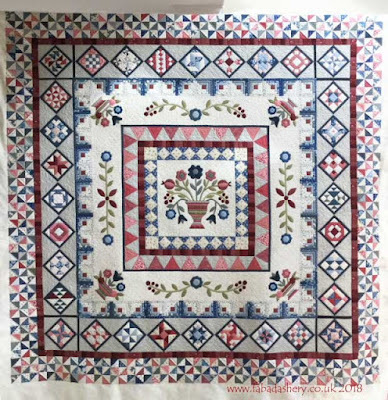 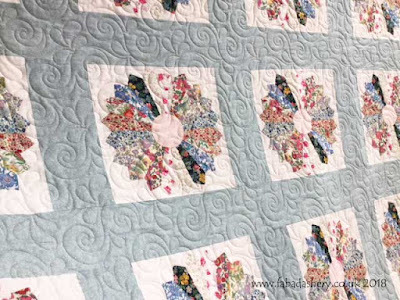 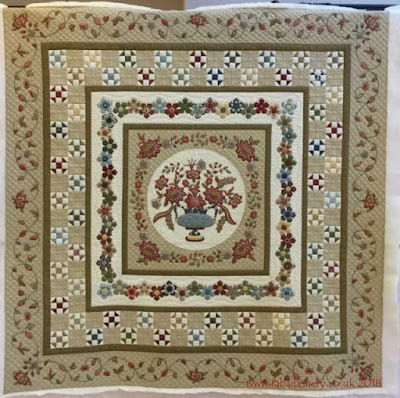 This is a medallion quilt with clever use of striped fabric for the vase for the flowers and a wonderful pinwheel border. 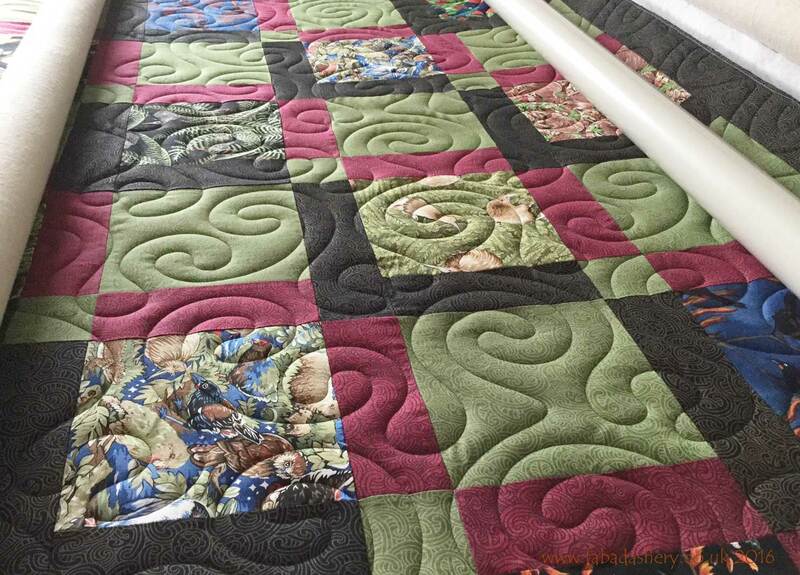 Perhaps one of the most satisfying moments of my job as a longarm quilter is taking the quilt off the frame once it is finished. 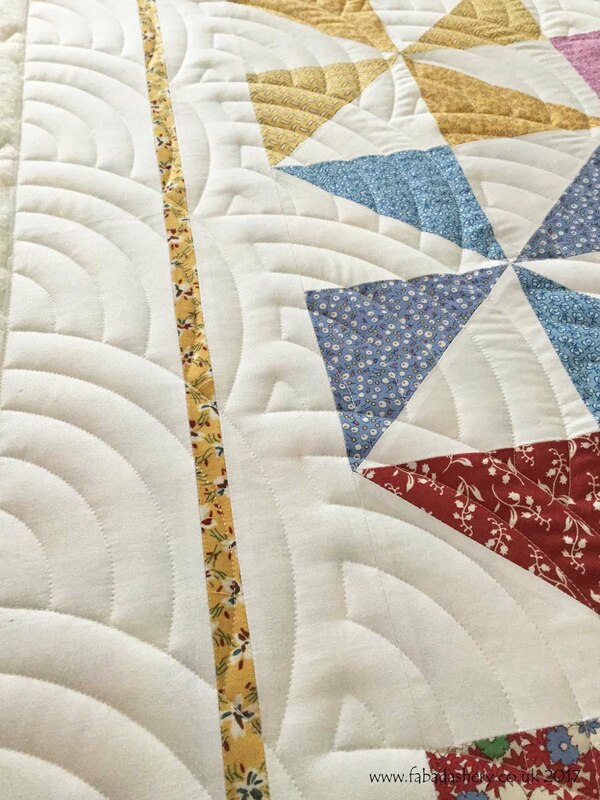 This is especially the case if the quilt has been custom quilted. 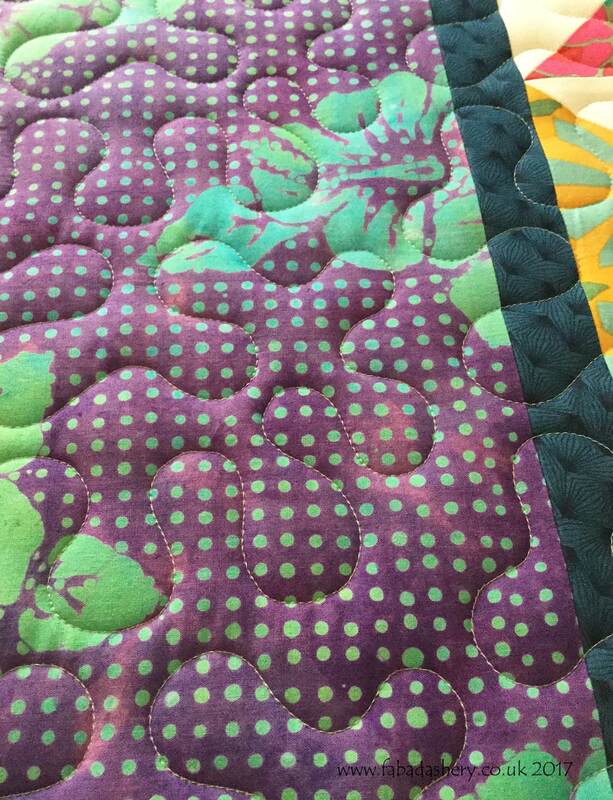 They take a lot of time and a lot of mental and physical energy to do, but the results are always worth it. 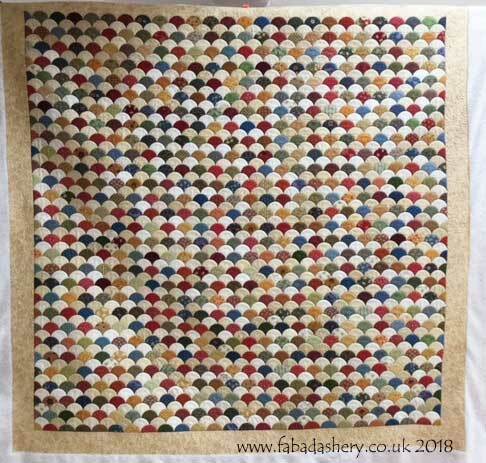 This is Barbara's version of the Di Ford quilt design 'Pendle Hill. 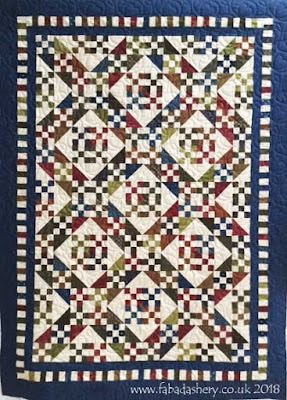 I quilted this quilt for Barbara last year and it is currently on display in the Two Person Category at the 2018 Festival of Quilts, No I005. 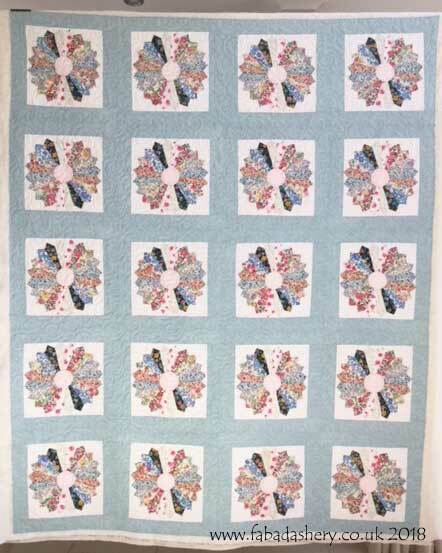 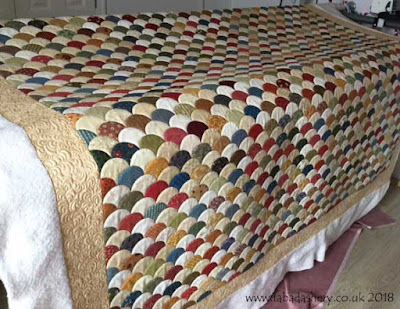 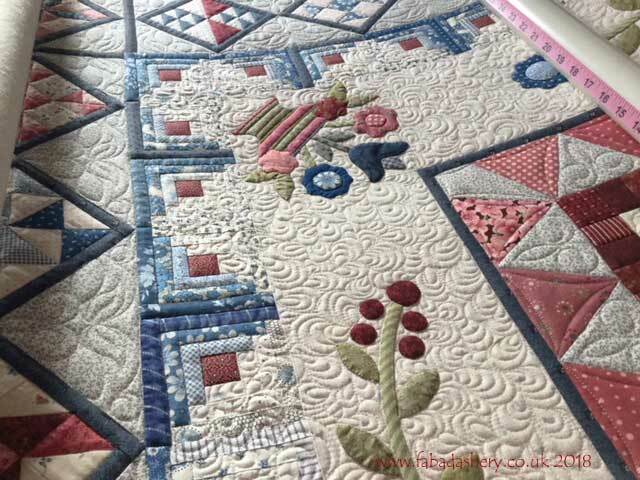 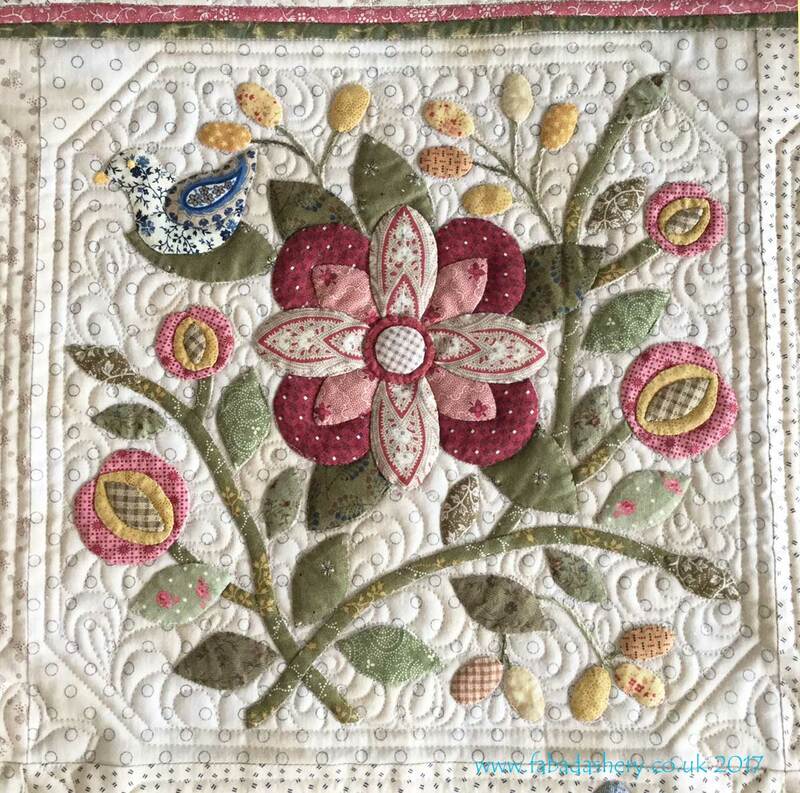 This is a pretty quilt made by Tricia from a quilt kit available from White Cottage Country Crafts, Wolverhampton. 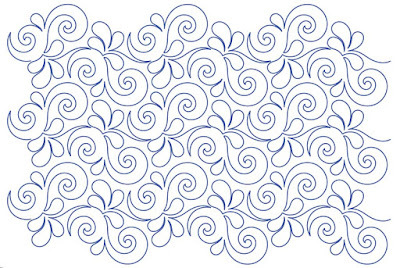 I have this pattern myself but am yet to make it! 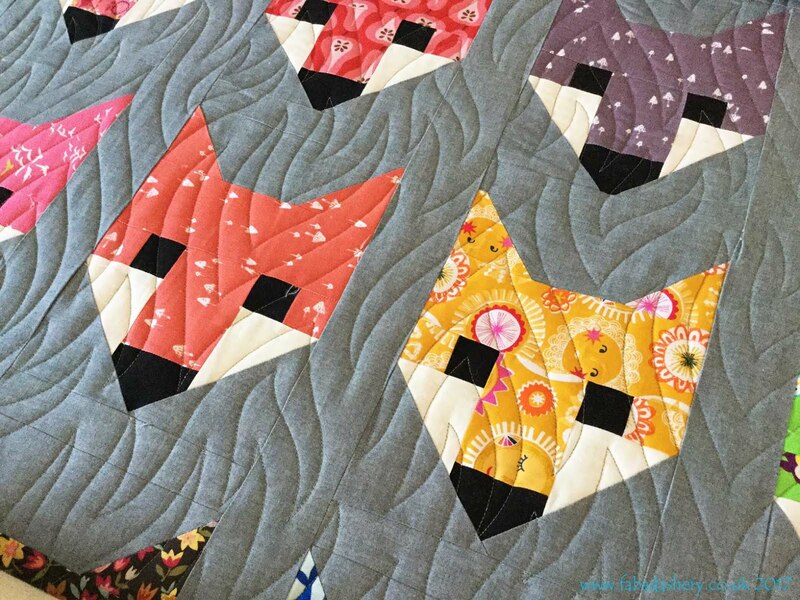 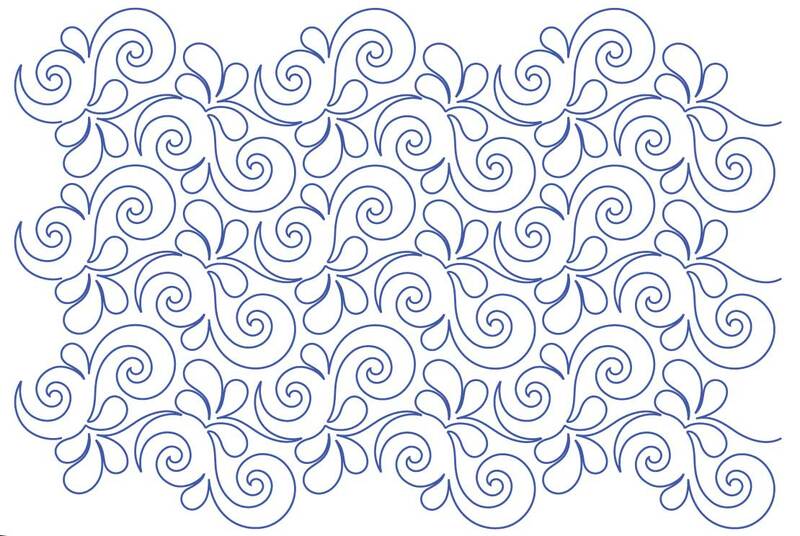 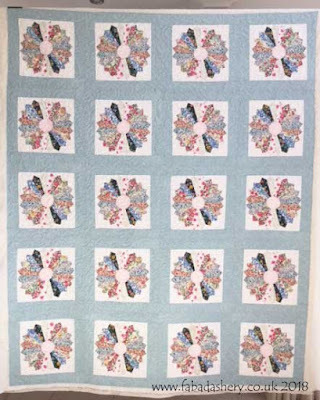 The quilting pattern we chose was the ever popular Ginger Hearts designed by Apricot Moon. 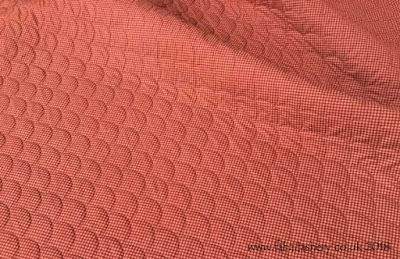 On this occasion we used a Leather Brown Glide thread and as usual the pattern came out beautifully. 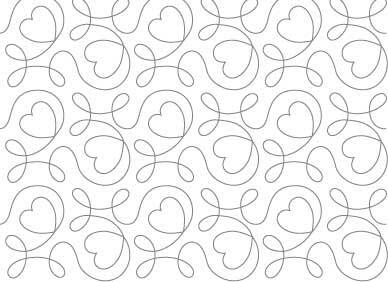 If you like hearts then this is a great pattern to go for.